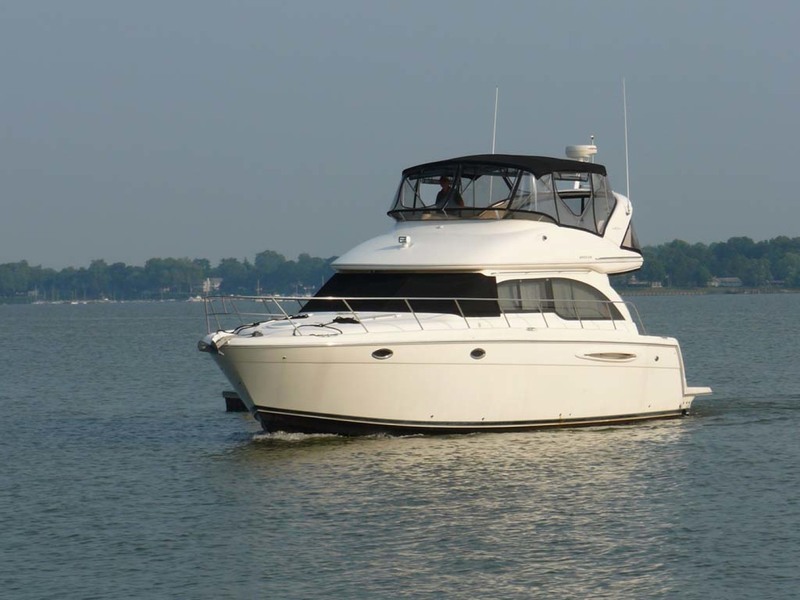 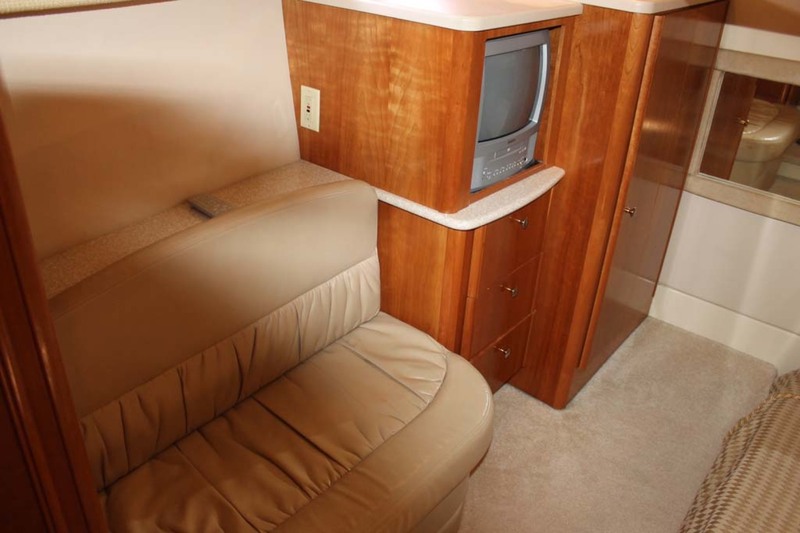 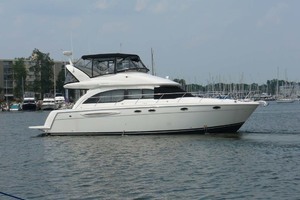 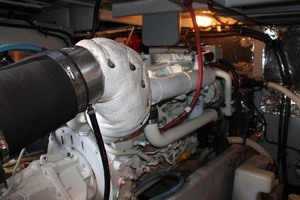 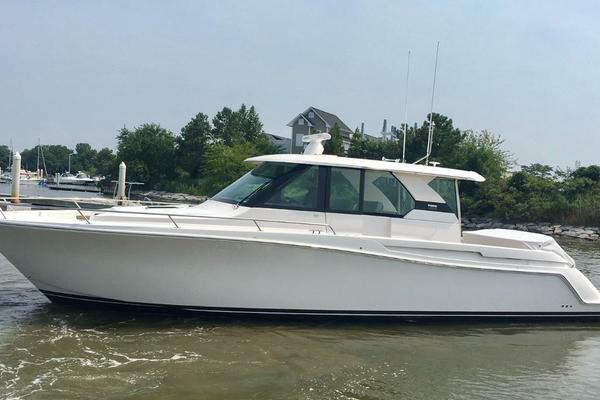 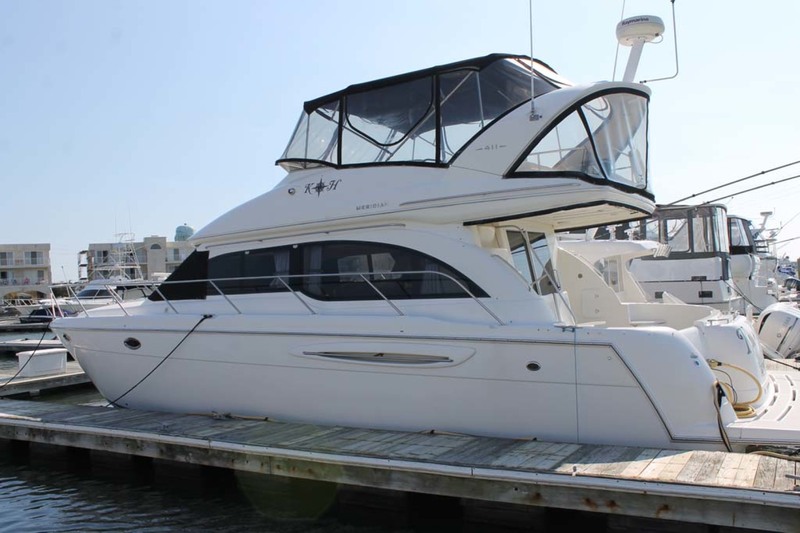 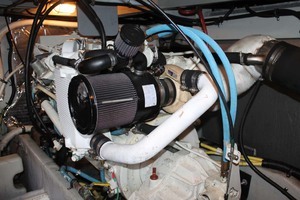 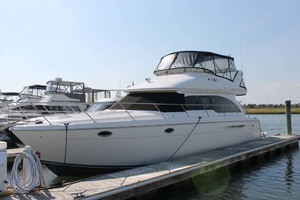 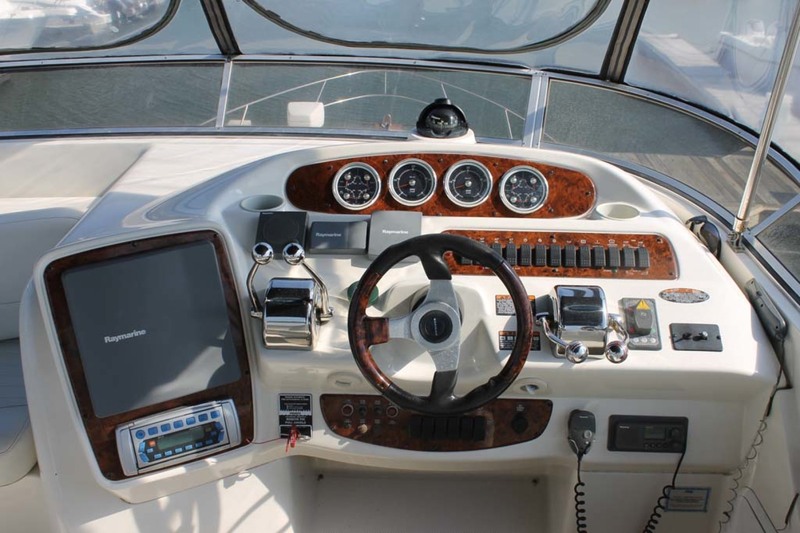 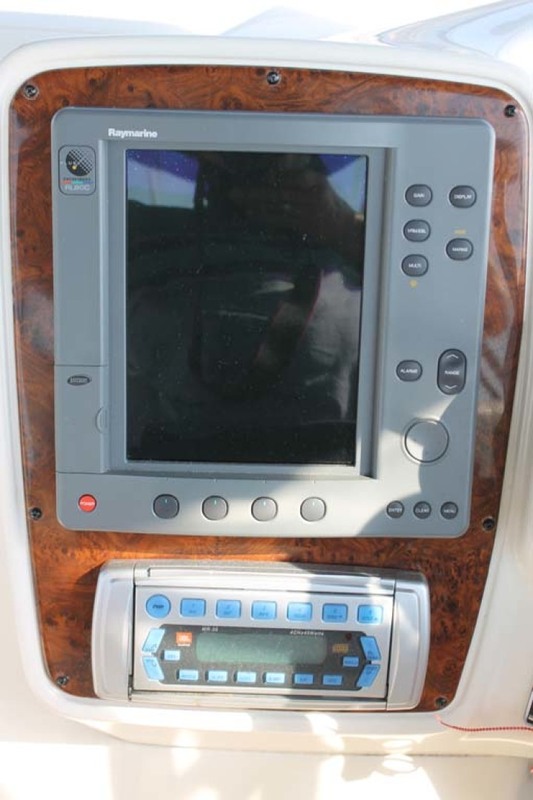 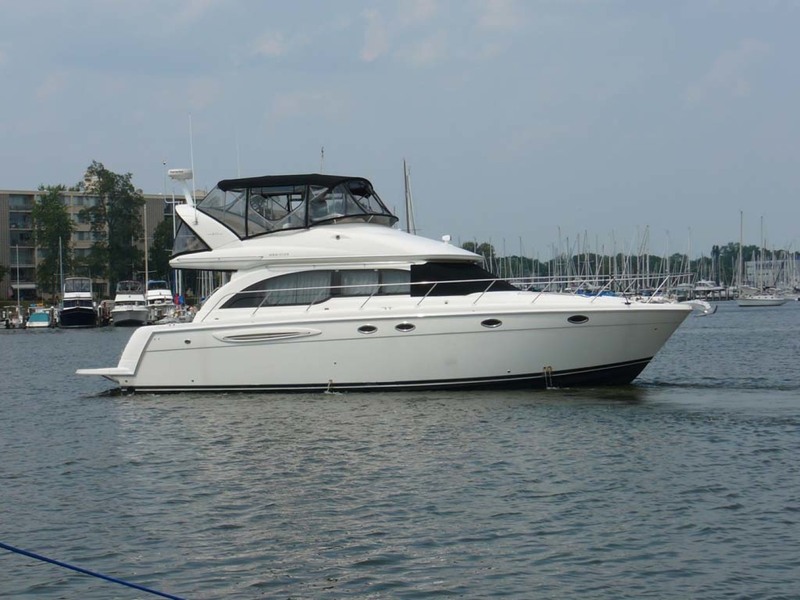 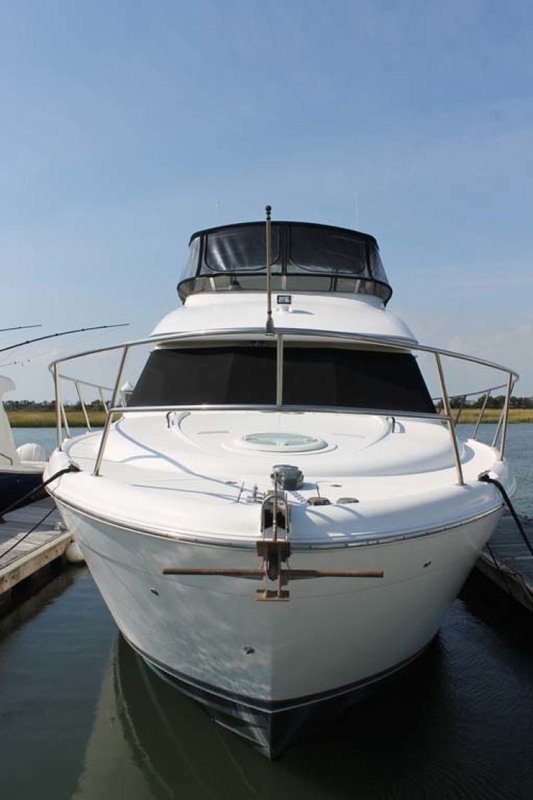 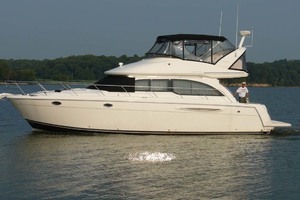 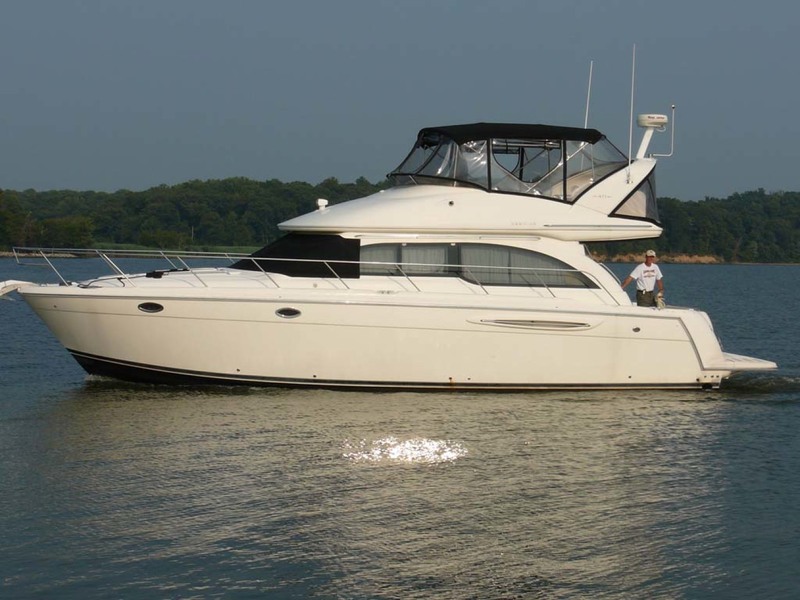 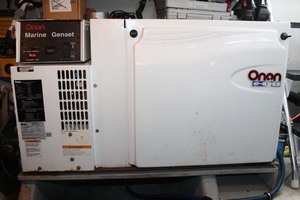 This 2004 41 Meridian Sedan Bridge Motor Yacht is in very good condition. 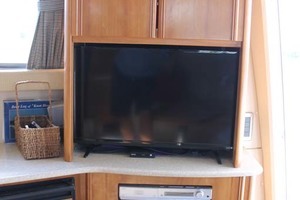 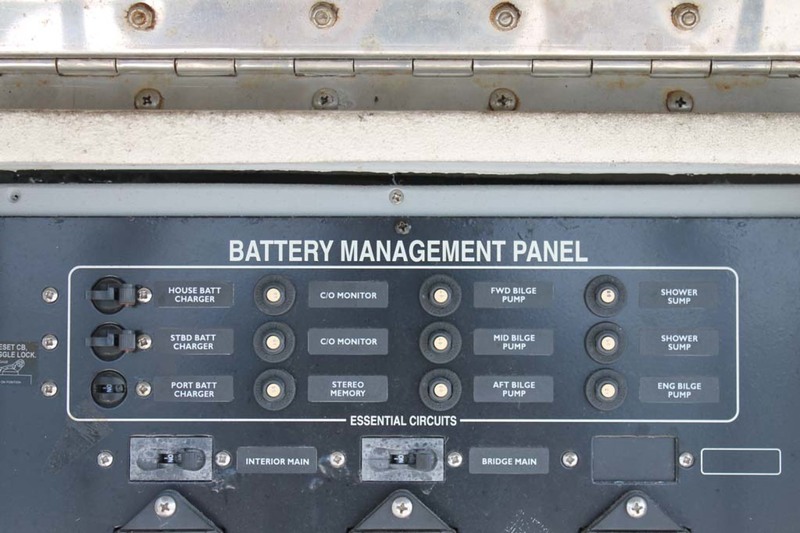 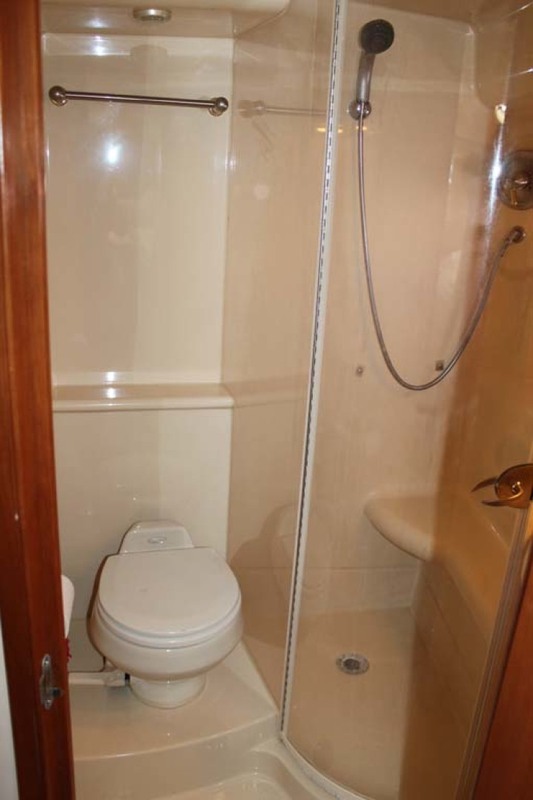 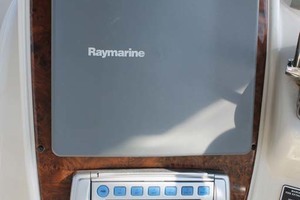 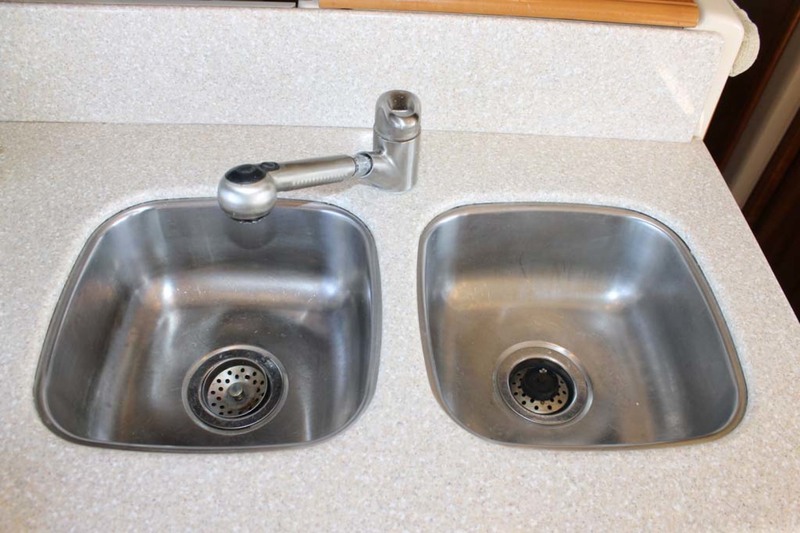 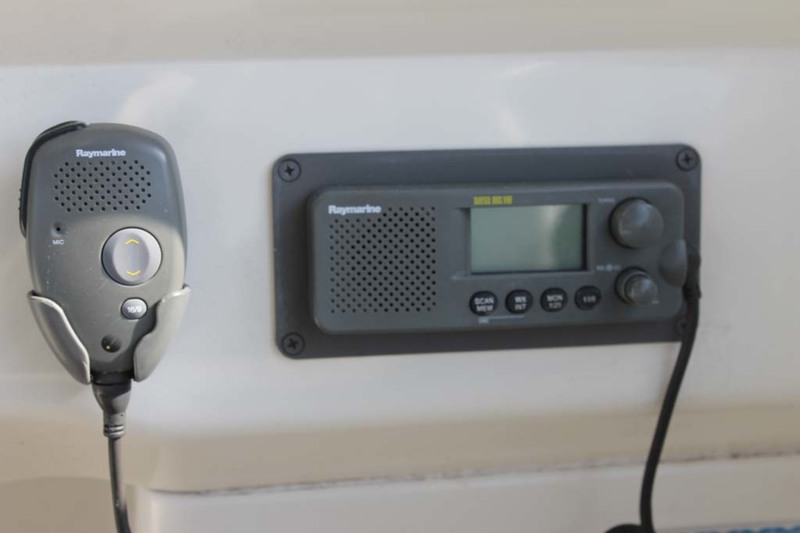 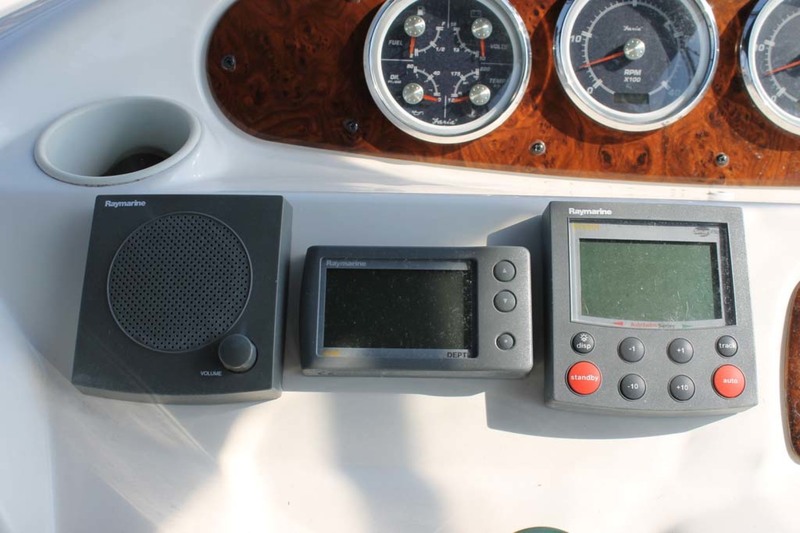 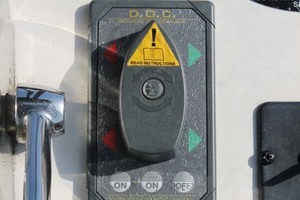 This vessel has all of the amenities of a condominium. It has a very roomy open layout concept for entertaining. 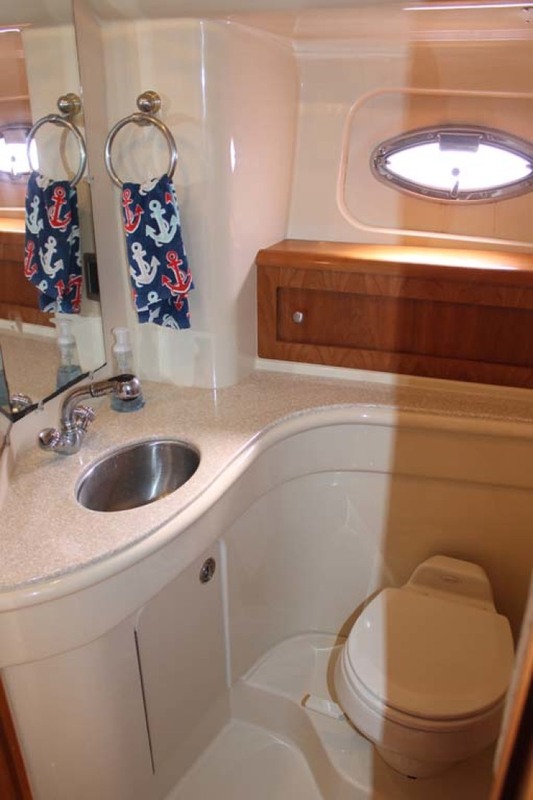 Meridian designed this boat for a family that likes cruising or having that place for a weekend retreat. 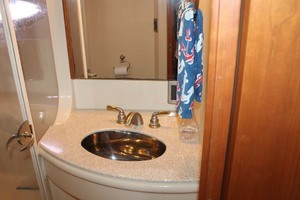 Both staterooms have privacy and there are 2 full separate heads. 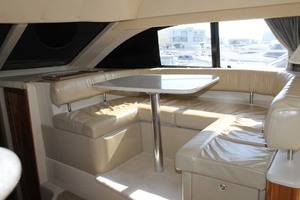 The bridge area is large and has plenty of room for everyone to hang out while cruising or entertaining. 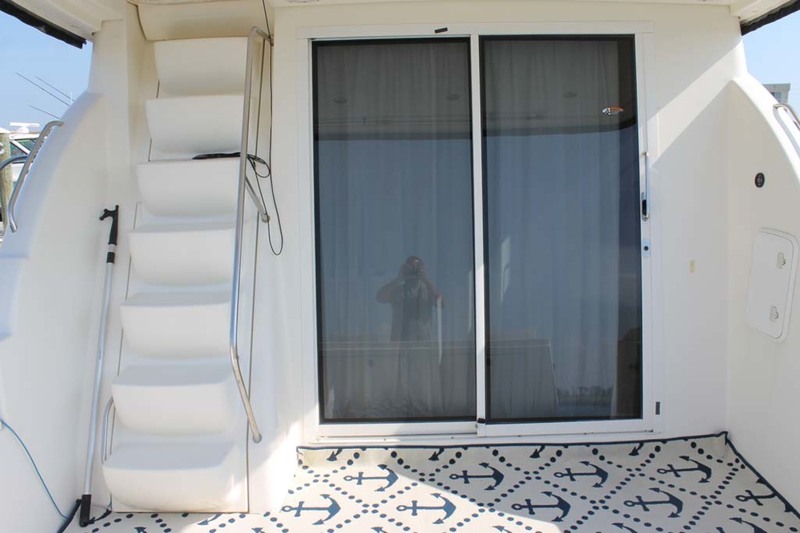 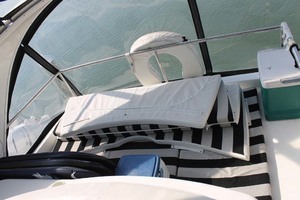 The aft deck has a nice shaded overhang for watching sunsets at the dock and the bow has cushions for the sunbathers. 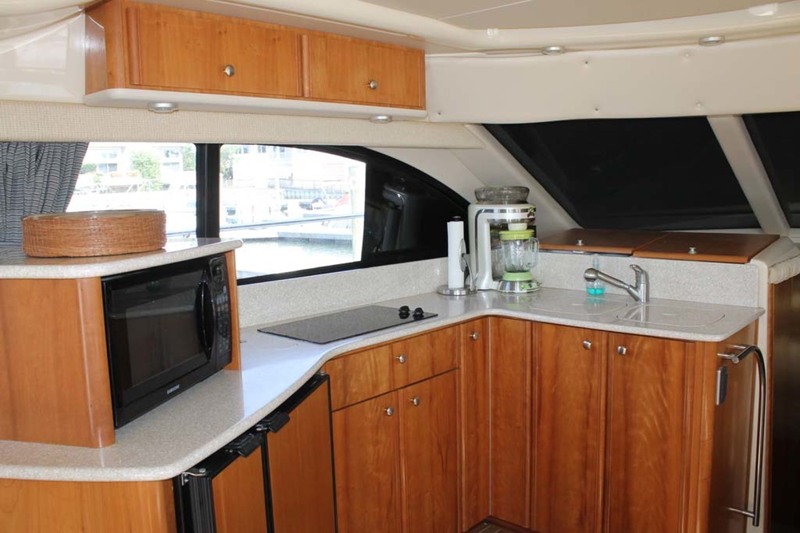 The 41 Meridian really has everything needed for an extended cruise or a place to call a second home. 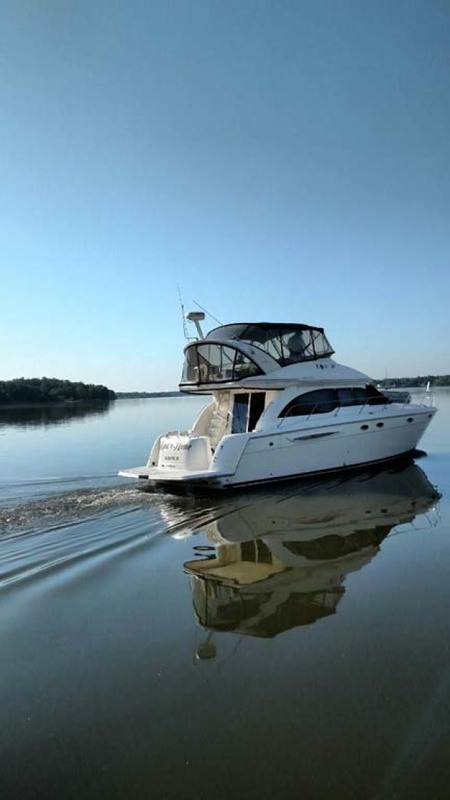 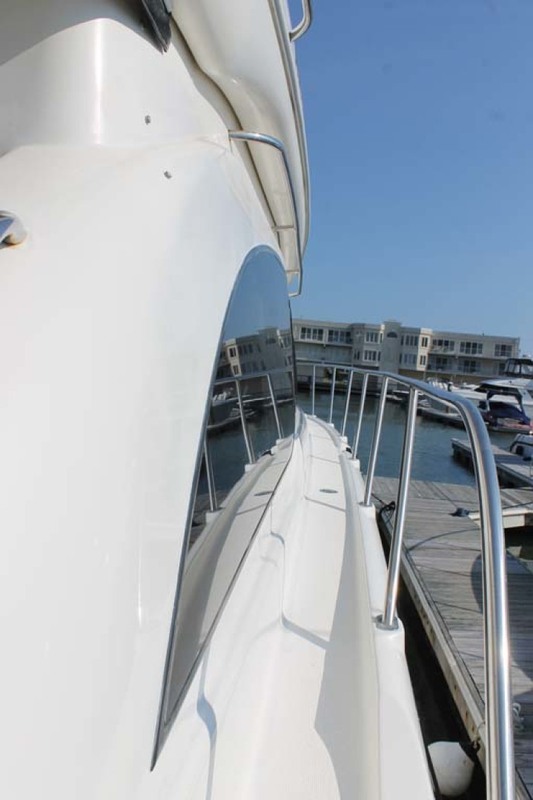 The 41 Meridian has a large swim platform that is used for accessing the boat safely. 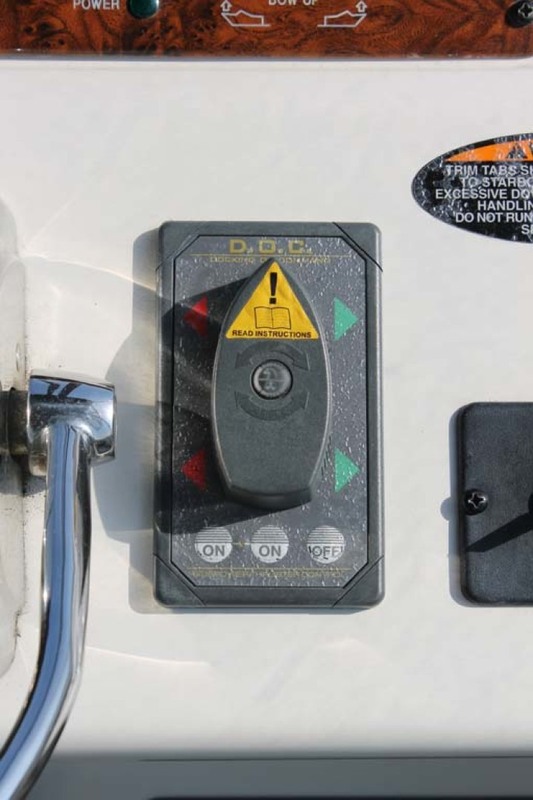 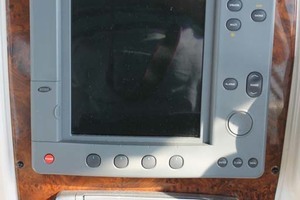 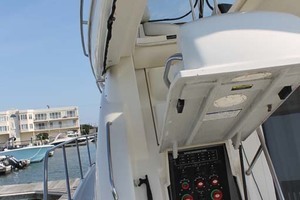 The transom door leads to the cockpit. 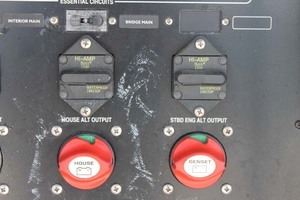 From the cockpit you can access the engine room by raising the bridge stairs. 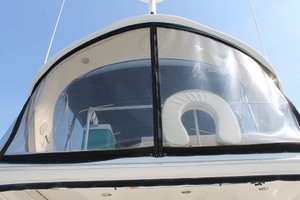 You also can get to the bridge and helm or enter the salon. 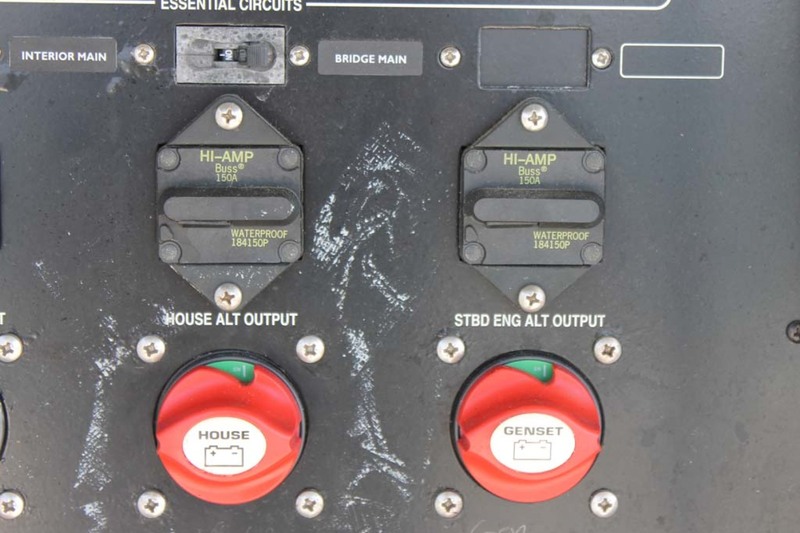 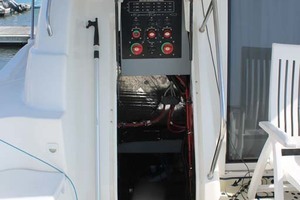 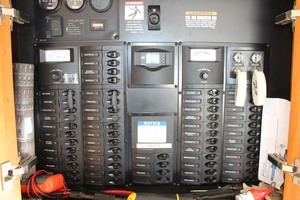 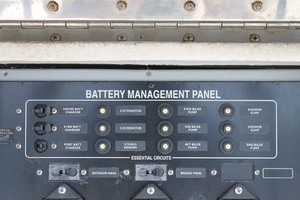 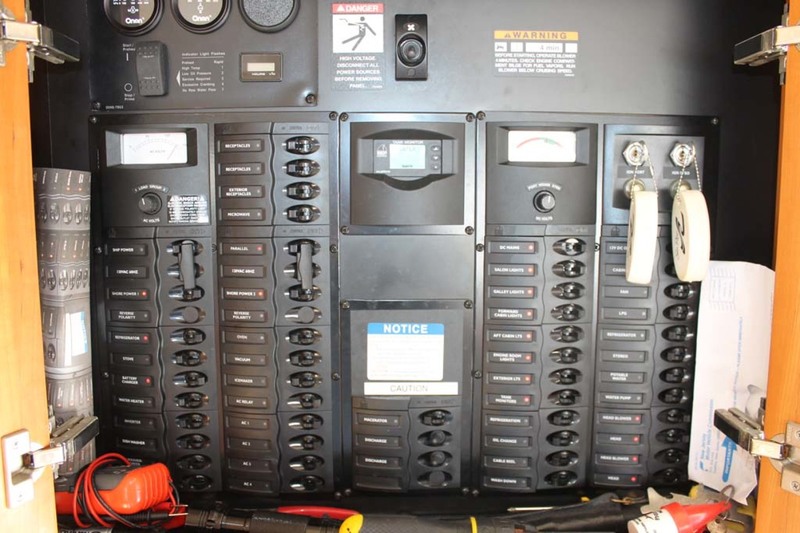 Up in the bridge area there is the helm with all the ships controls and electronics. The bridge is large with wrap around seating and a freshwater sink and lounging area. The salon is entered thru a sliding door. 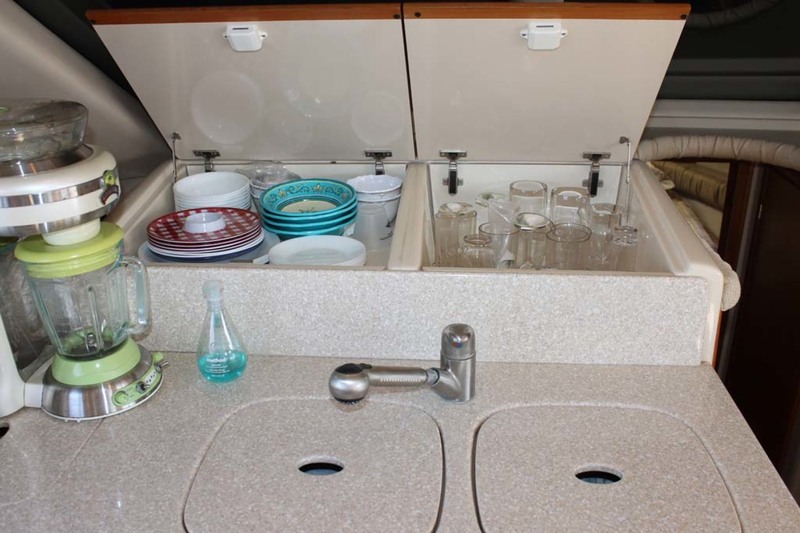 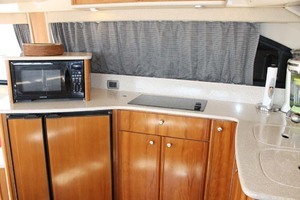 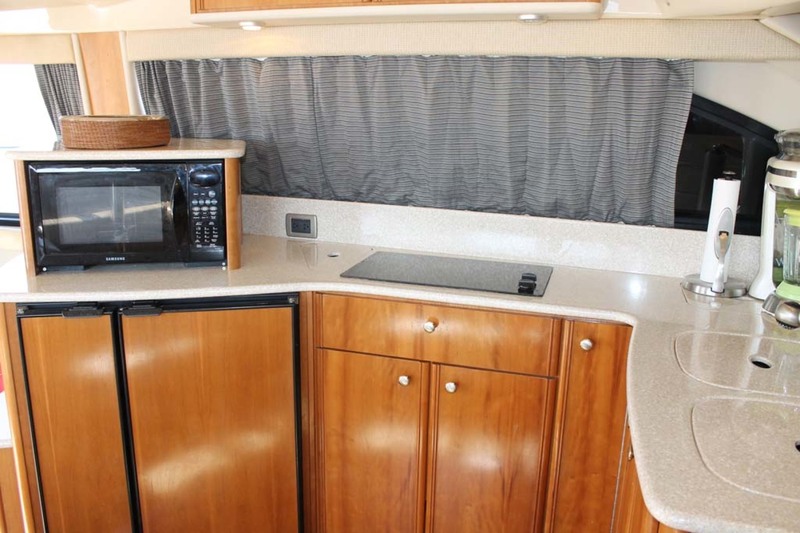 Once inside you will see an open layout with the galley and dinette forward. The salon has great natural lighting with all the large windows. 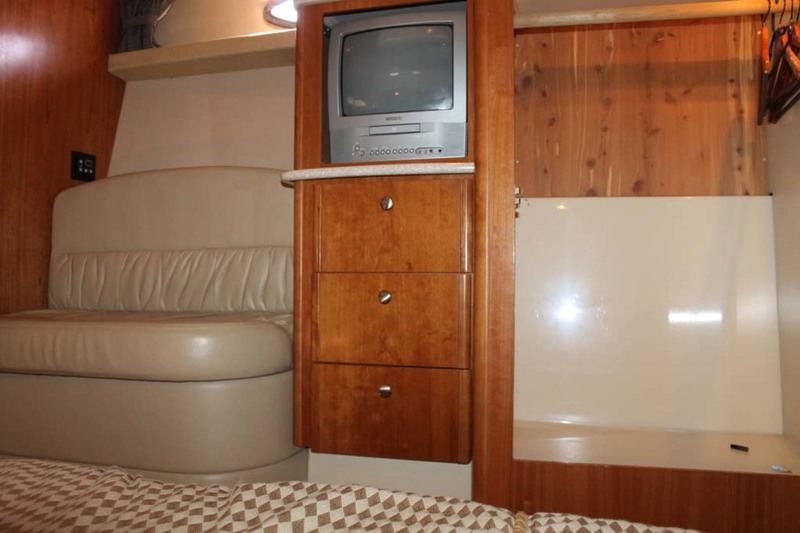 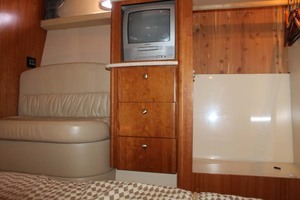 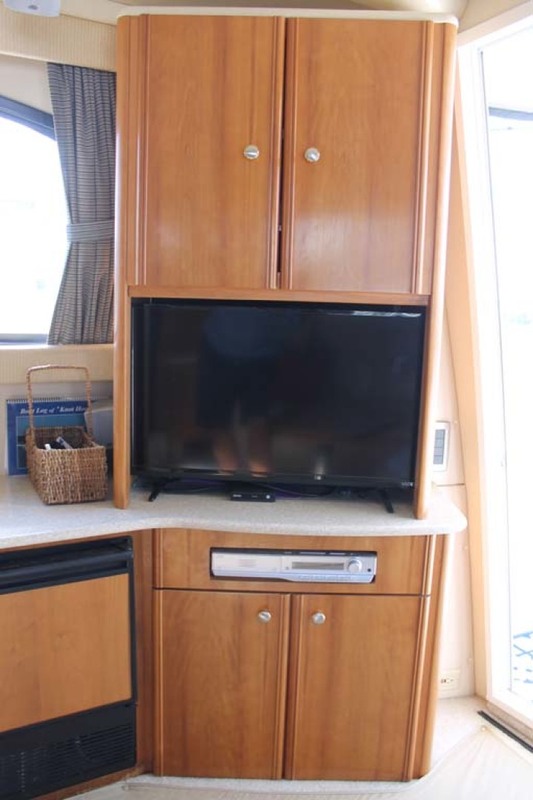 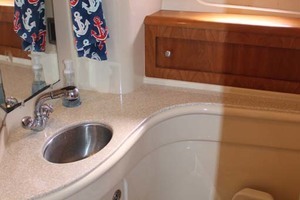 Down the steps to the starboard is a full stateroom with cabinets and drawers and a tv. 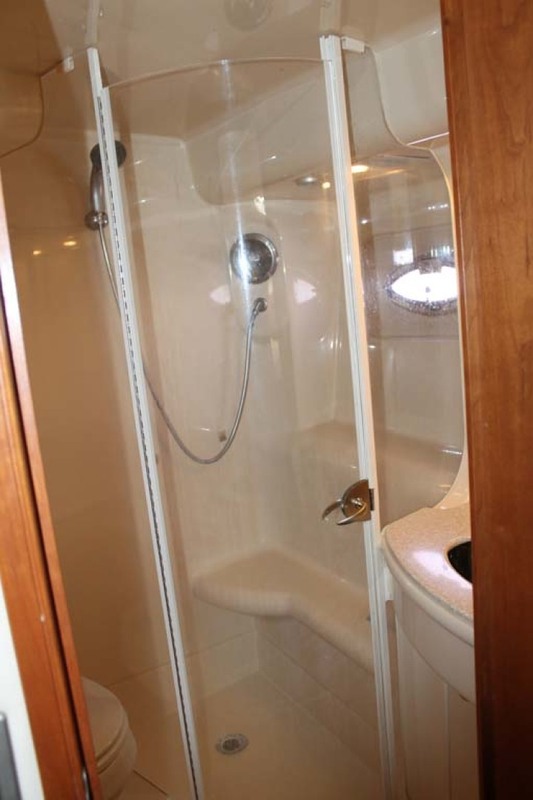 Across the hall is a full head. 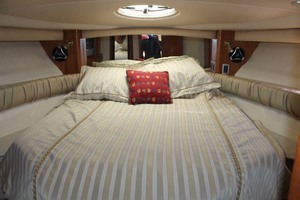 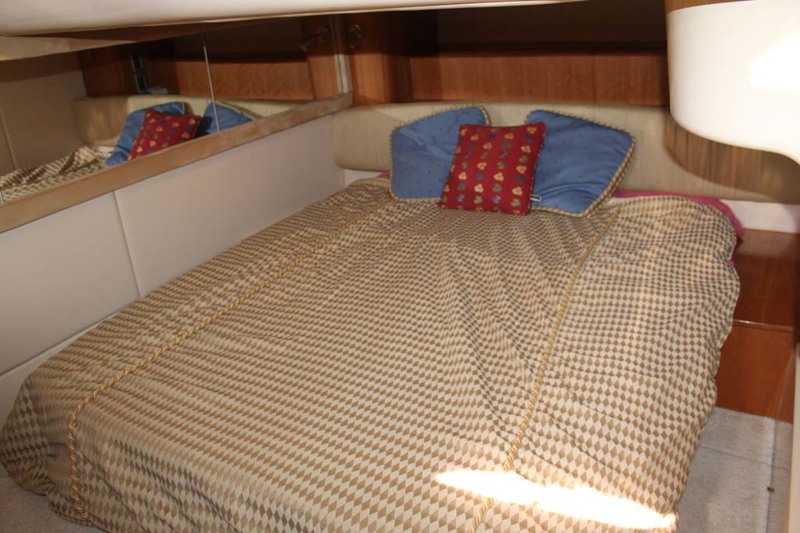 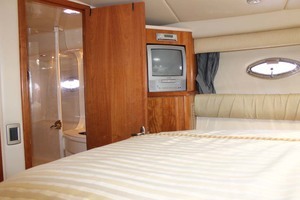 The master stateroom is forward and has a private full head with shower. 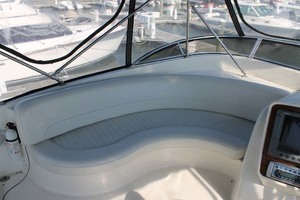 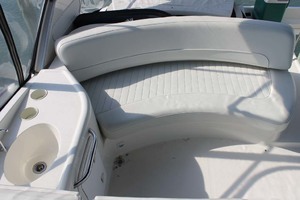 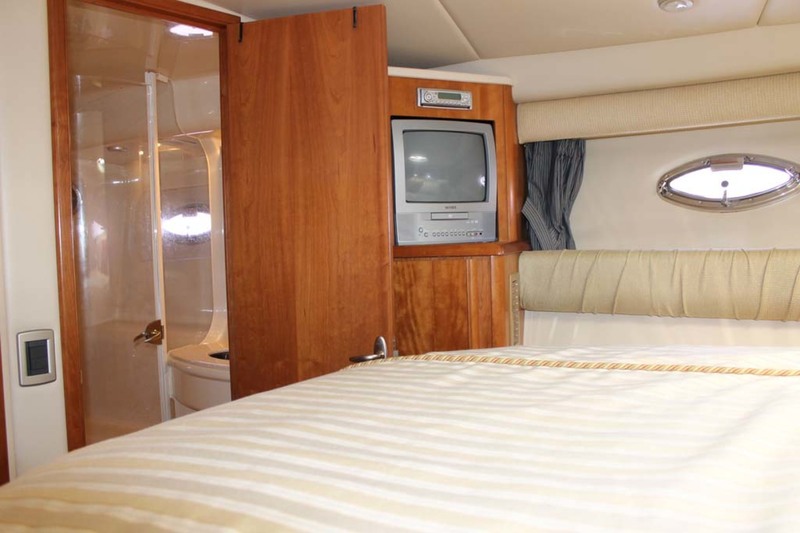 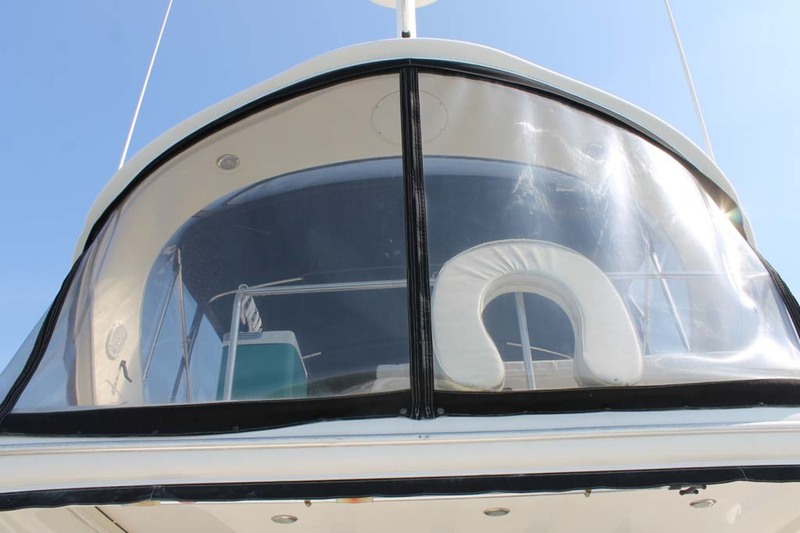 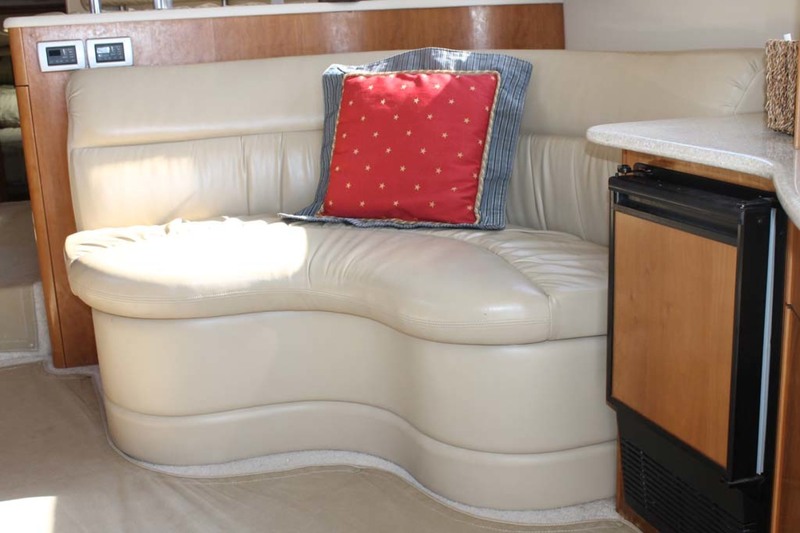 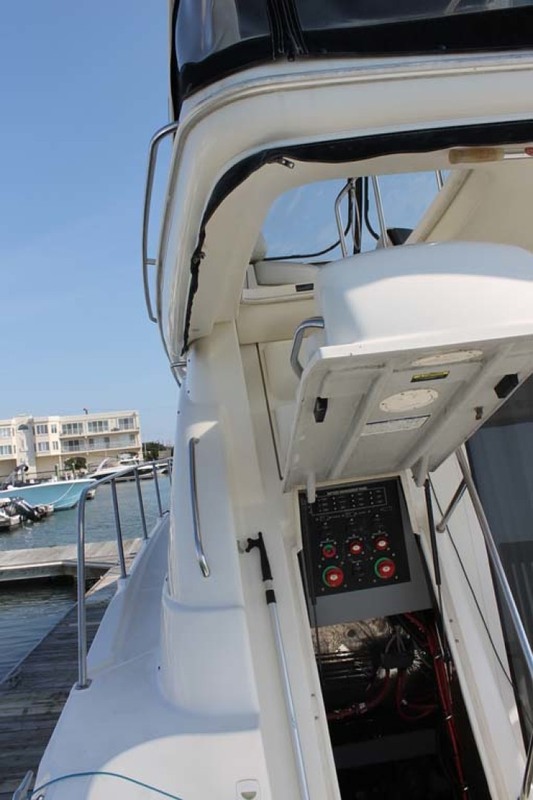 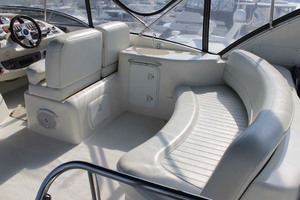 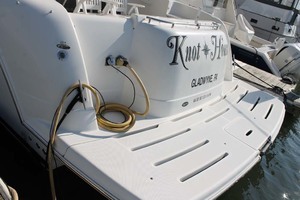 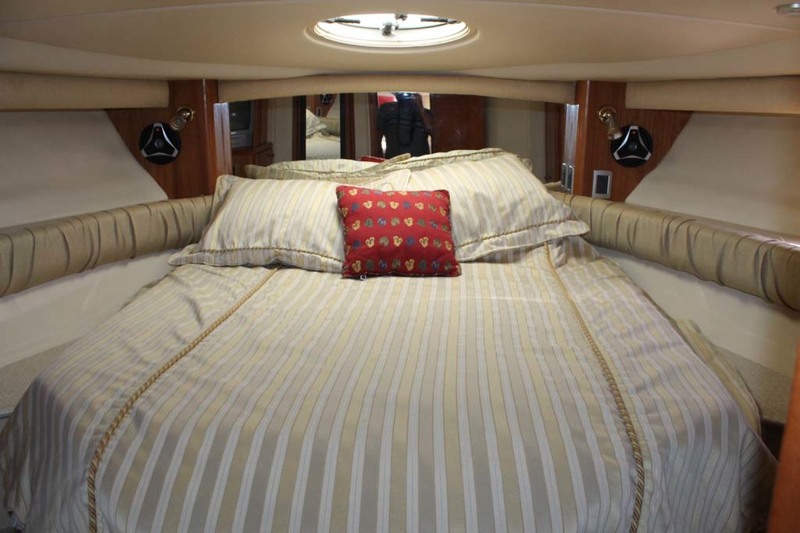 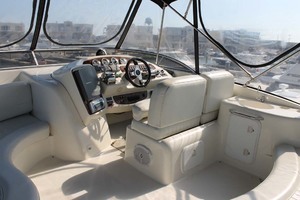 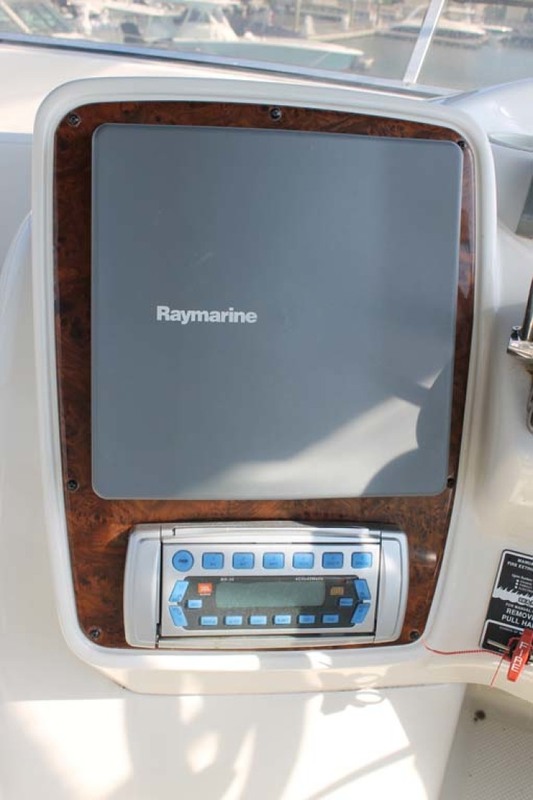 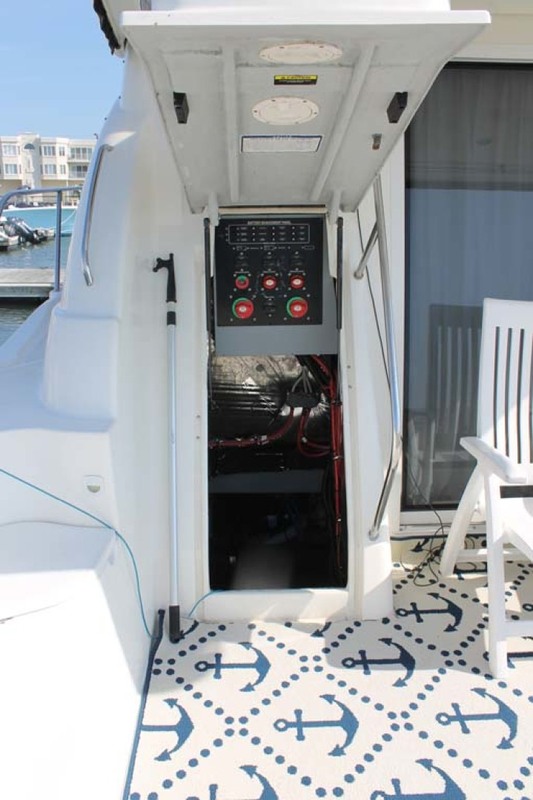 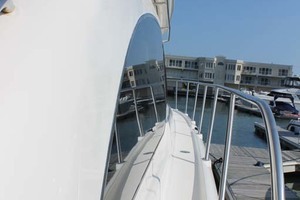 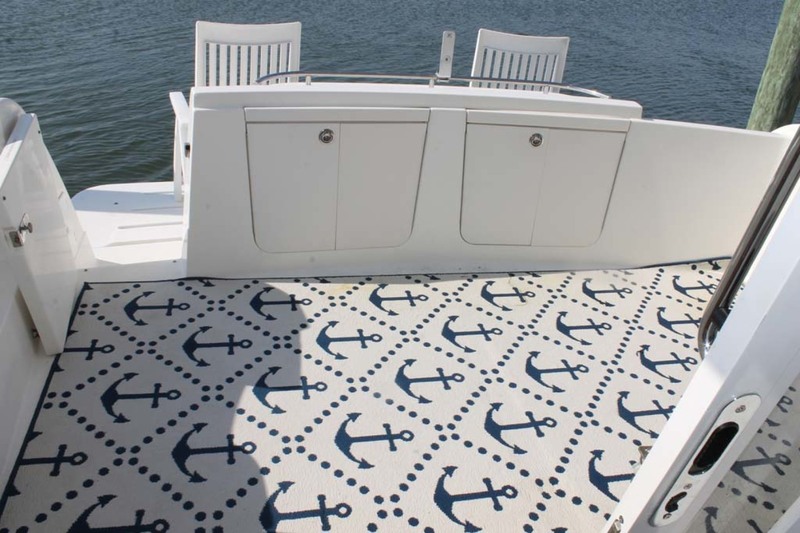 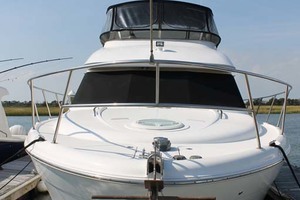 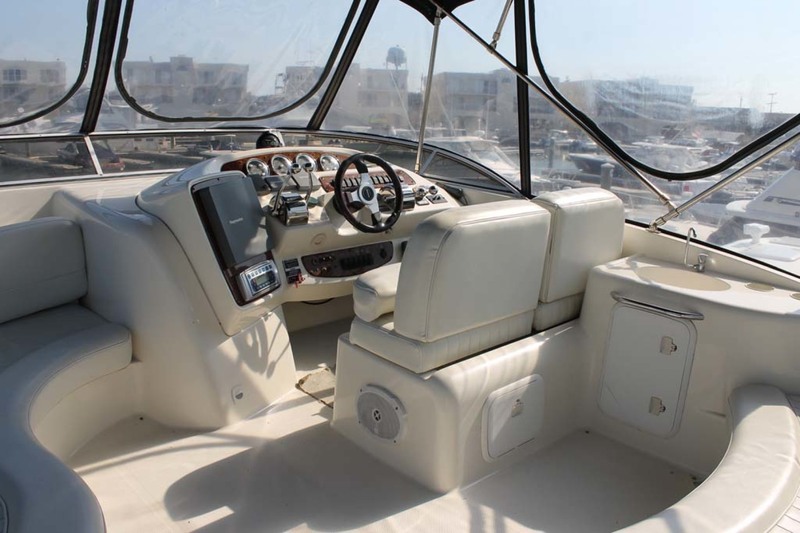 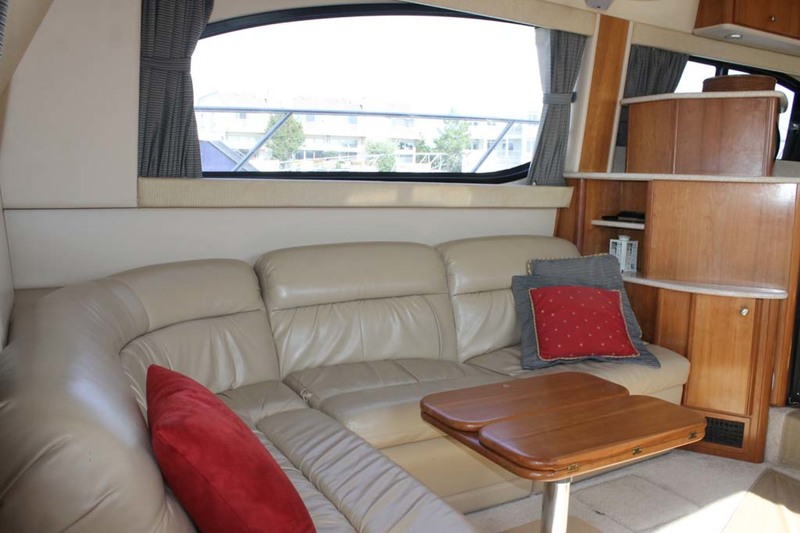 The foredeck on the meridian has sun cushions for lounging at the dock or while cruising on the water. 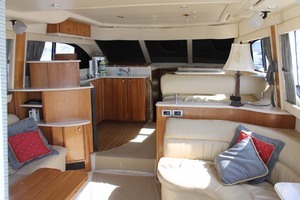 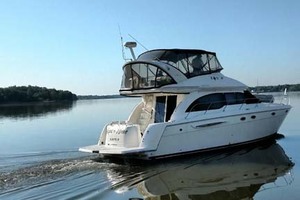 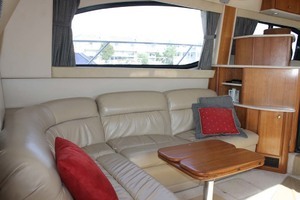 Very nice Motor Yacht with loads of space and various entertaining areas.